Enjoy your stay with us and get relaxing treatments at Anantara Spa Praia do Forte. 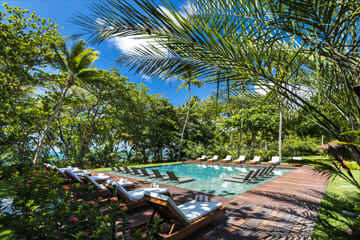 The Anantara Spa has arrived at Tivoli Ecoresort Praia do Forte. Enjoy your stay with us and learn about the new treatments, which combine traditional Thai culture with Brazilian techniques and ingredients. Disconnect yourself from the world and take refuge in this sanctuary for the senses in the midst of nature. Valid for bookings made from 12 February - 30 June 2019 and for stays from 12 February - 30 June 2019. This package cannot be used in conjunction with any other promotion, discounts or packages are non-exchangeable or redeemable for cash and also not applicable to groups, corporate rates, industry rates and travel agency rates.